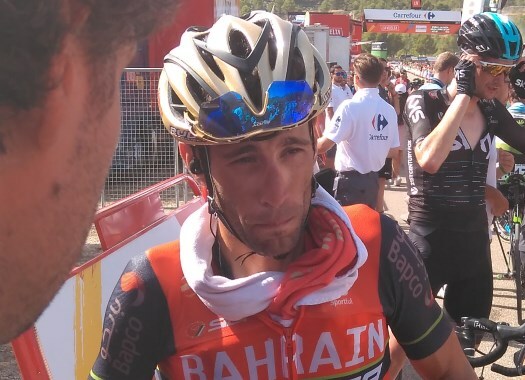 Vincenzo Nibali has a contract with Bahrain-Merida until 2019 and despite the rumours of him going to other teams, his current squad will do everything possible to retain him. The Italian has had a difficult season due to the crash he suffered at the 12th stage of the Tour de France that caused him a vertebral fracture. Despite that, he is considered as one of the best General Classification riders in the current peloton and that is why it isn't a surprise that many teams have shown interest in him, including Sky. "It is normal," said Bahrain-Merida's ambassador Joaquim Rodriguez to Spanish newspaper Mundo Deportivo. "At the end, the riders like to hear proposals, to want to improve and to feel the love. "Bahrain-Merida loves him very much and we want to renew his contract. In the end, if he is receiving so many offers that means that he has been doing good things." Rodriguez doesn't think is a surprise that a team like Sky has shown interest in the Italian and that he would listen to the proposal. "It is true that Sky is an outstanding team and any rider would like to ride for it," the former rider commented. "But in Bahrain-Merida we are doing things very well and we hope to keep Nibali because he is a very important rider for us." For the 2019 season, Nibali will maintain his role as the main man in Grand Tours and Rohan Dennis could also play an important part in the team's season. "Vincenzo will have to choose if he will ride the Giro d'Italia or Tour de France and Vuelta a España," Rodriguez explained. "We will have to see which will be his calendar. "Rohan Dennis has also had good performances at the Giro d'Italia and we hope he will have the chance to improve in the team."